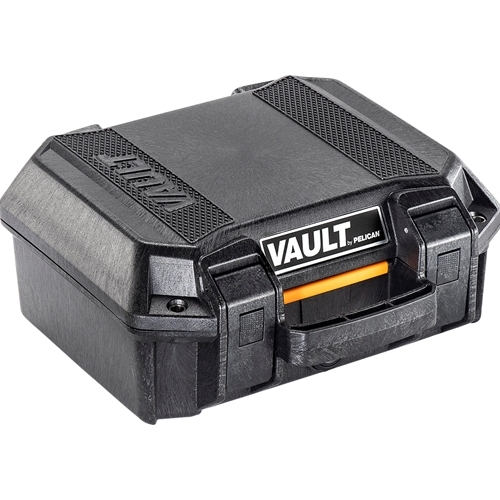 Pelican V100 Vault Case comes stocked with five layers of protective foam that are critical in keeping your personal handgun secure. Built for hard use, high impact and supreme weather resistance, new VAULT by Pelican™ gun cases are the most rugged and secure in their class. Equipped with a host of premium protective features at a price more hunters and shooters can afford. Perfect for a personal handgun. Dimensions Inside: 11.00" x 8.00" x 4.50"
Dimensions Outside: 12.28" x 12.03" x 5.16"